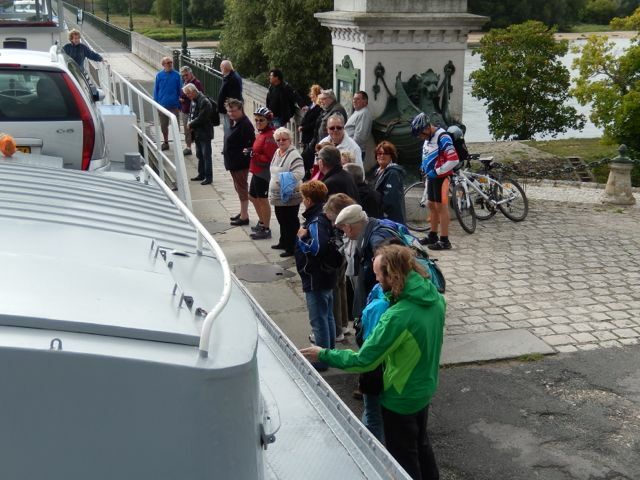 HomeMy Travel BlogTraversing the Pont Canal de Briare! Our next stop was Briare. 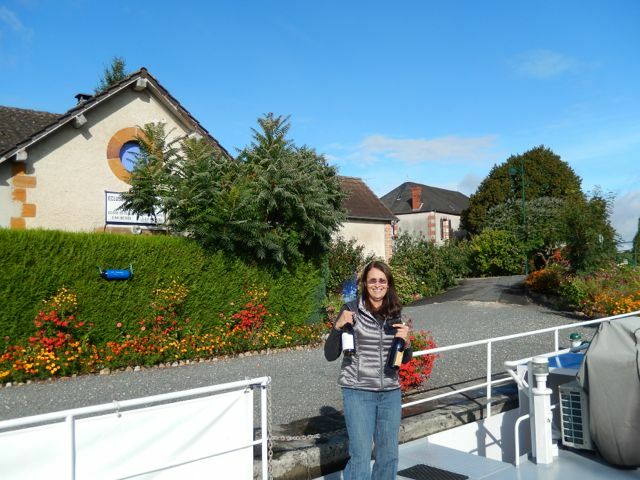 At one of the locks was a lock-keeper selling regional wines. We’re always happy to help out the local economy. Lisa bought two bottles including a very nice Sancerre. An hour later Lisa said she needed a baguette for lunch, and if we saw a village that had a boulangerie to please stop. The next town not only had a boulangerie, but it was just off the canal. 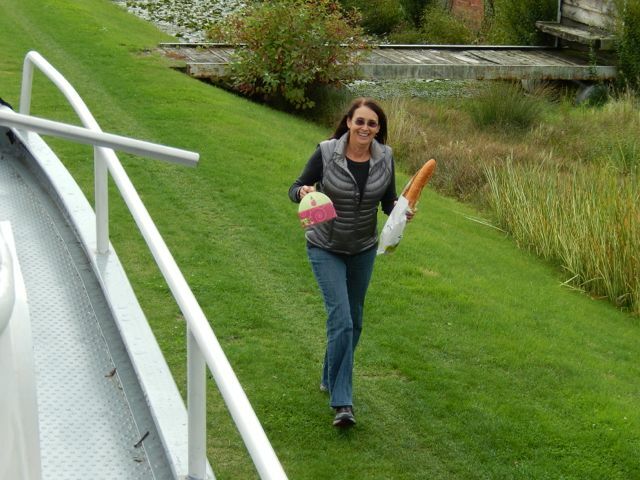 We pulled over, Lisa jumped off and in less than five minutes she was back on Rabelo with her baguette and of course dessert. I swear that girl wants to fatten me up. 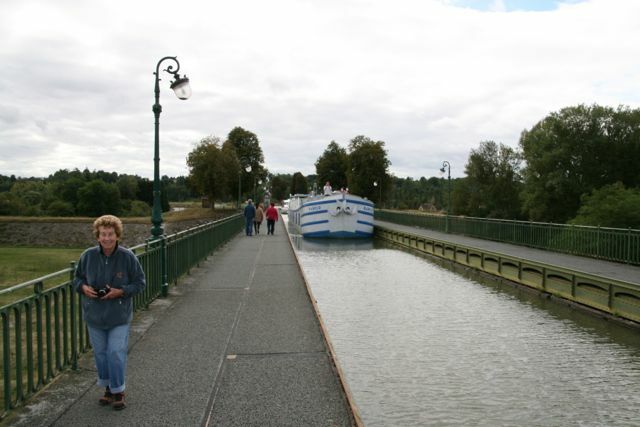 The Canal Bridge or the Pont Canal de Briare at 662 meters (2515 ft.) is the longest metal aqueduct bridge in Europe. It was designed with the help of Gustave Eiffel. From 1890 to 1894, 2,000 men worked on it. 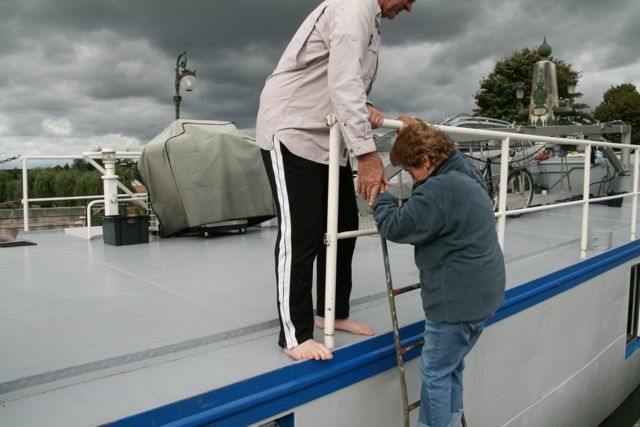 When we arrived Lisa and Aunt Mac jumped off Rabelo and ran ahead to get pictures of our baby crossing the Loire River. Below is a picture of 82 years young Aunt Mac climbing back onto Rabelo. You go girl. Our first stop in Briare was the Tourist Information Office. 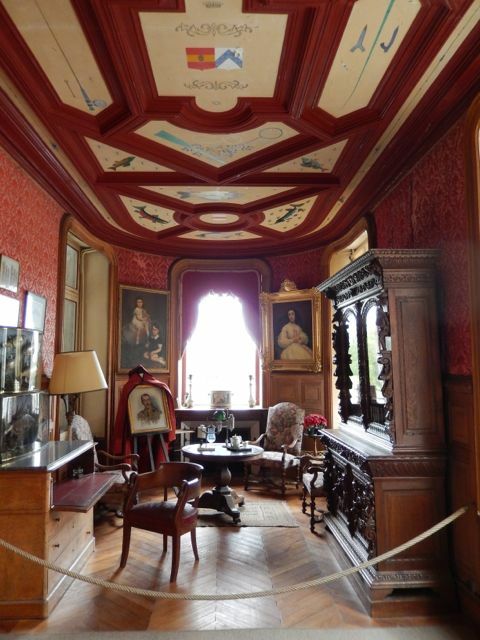 When we asked what there was to do, they said we had to go see the chateau. 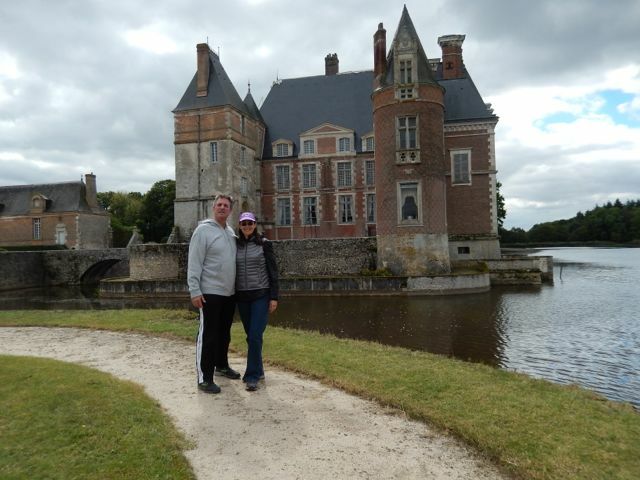 Chateau de la Brussiere was a ten-minute drive from the center of town. Not only did the chateau have a moat. They had an entire lake, or at least a large pond. Every year they empty the pond for cleaning, and the local fisherman have a field day collecting the fish stranded in the shallow water. 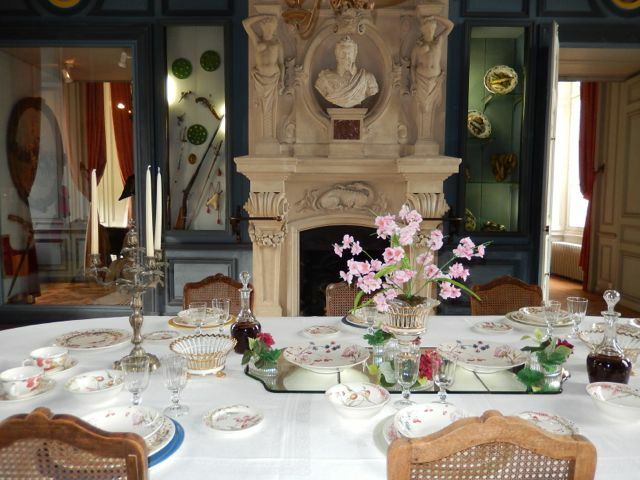 While the inside of the chateau was beautiful, we all agreed that the garden was the best. In fact it may have been the best garden we have ever seen. If you like gardens you have to go! You can even buy some of the produce they grow. 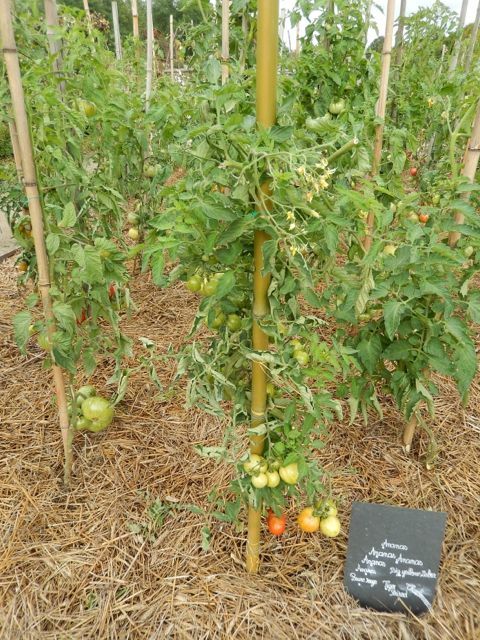 The variety and size of the tomatoes were amazing. The fruit trees were loaded with pears, apples and peaches. 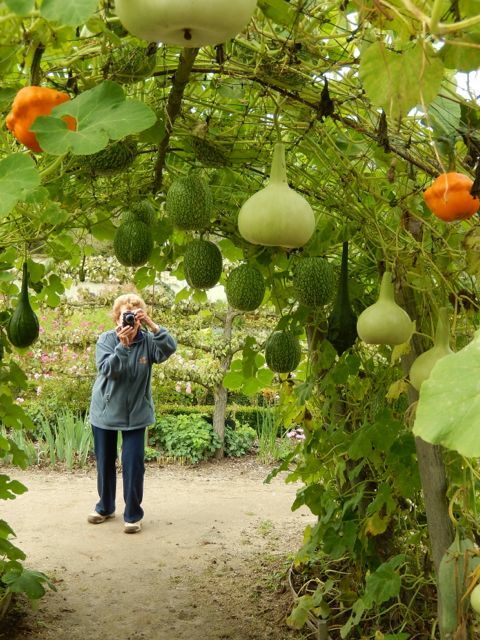 There was even an arbor with squash and watermelons hanging down, ready to be picked. My favorites were the berries. They had blackberries, raspberries and a couple different kinds of currants. 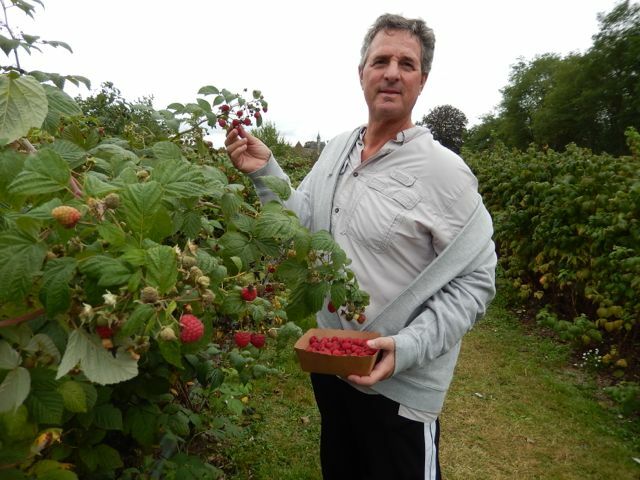 Lisa and I grabbed cardboard containers, furnished by the chateau, and picked raspberries. There was a sign that said, “Please do not eat the berries while picking them.” Right, like I have that much self-control.